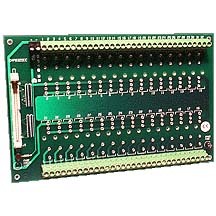 CamSoft Offers various digital IO boards in various configurations to meet any Machine Tool Application Requirements. This is the most popular selection and is just one of the many possible solutions. Use our Product Advisor or call our applications engineers to assist you in selecting the best hardware for your application. Power consumption: +5VDC 400mA max. 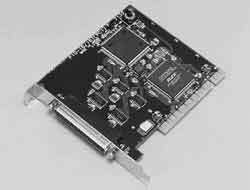 Allows regular PCI cards to plug into PCI-e slots. 10" x 6.5" x 2.5"
5 Volt Logic @ 12mA nom. 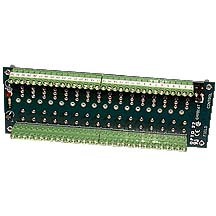 Stand Alone relay racks provide opto isolation using OPTO 22 G4 digital relay modules. These spare relay racks and digital IO modules can help guard against electrical noise and provide signal isolation. 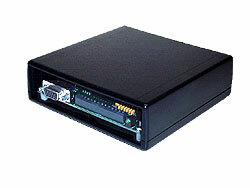 Low cost I/O boxes for slow (under 200ms) I/O requirements such as a hand held pendants , light bulbs, push buttons, doors open or any on/off, open/close verification needs. Each box has 14 non-optical isolated points to be used as either inputs or outputs that act on TTL 5V logic at 24mA. Can be used with our Stand Alone Relay Racks if optical isolation or high voltage relays are required. One cable provided to connect to PC power supply and another RS232 cable to connect to 9 pin serial port on PC. USB cable $35 extra.